I always knew there were constituent parts or elements to my Resolutions (thank you btw for the true definition), which is why I always failed in achieving them! I don't do them anymore; like you I prefer to be dissolute. Are you saying resolution is an example of re- being used as an intensifier? In chemistry, resolving a solution is the opposite of dissolving. First you solve/dissolve the sugar, creating a solution, then you REsolve it, separating or distinguishing the liquid from the particles suspended in it - i.e. making it no longer a solution. In terms of the Latin root, both are loosenings. First, you loosen the solid of the cube. Then you would separate the liquid. Both are, if you see what I mean, dispersals. Mind you, resolution has an awful lot of different chemical definitions in the OED. I was quoting from the first. 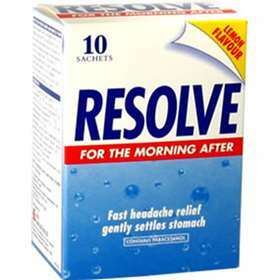 It also has re-solution which is 'dissolving again' and uses the re- in its purely iterative sense. Any ideas how I might resolve my insolvency? The solution seems to be clear to me but that may just be my new year resolution which did not prove to be a solution last year so I must resolve the problem. Actually a cup of tea, with the sugar dissolved, may be the solution I am looking for. Happy New Year.